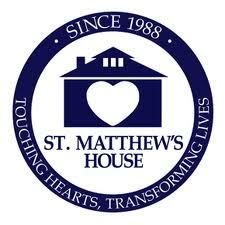 St. Matthews House in Naples is a Christian ministry that feeds and reaches out to the homeless of Collier County. They provide meals and temporary housing. Thousands of meals are served each month. The Guadalupe Center of Immokalee, Inc. (GCI) is a social and human service organization whose mission is to serve the economically disadvantaged of our community with interim help and long-term programs that promote self-sufficiency, opportunity, and community stability. GCI has been a steadfast companion on this journey, removing barriers, meeting challenges, providing nourishment, clothing, education, and support services for Immokalee's migrant families. Grace Place is a Christian organization which ministers to the children of Golden Gate City. These children get the necessary support to grow and be educated in our community in ways that will assure they become productive citizens. We also support Salvation Army, The Alzheimer’s Support Network of Naples, St. Vincent de Paul, The Shelter for Abused Women and Children of Collier County, Helps Outreach, Immokalee Childcare Center and several other local service agencies. Throughout the year visit our mission partners for hands on work. Trips include working for Habitat for Humanity to paint, clean and perform other work as needed; visiting Mision Peniel in Immokalee to sort clothes, distribute food and organize the food pantry; spend the day at Grace Place to visit with the children and read, play games or help with the food pantry. Several times a year we gather on the church bus and visit our mission partners. These trips not only include tours of the facilities, but educational information on how the facilities operate, what their direct needs are and how they help those in need. On the first Sunday of each month, following the service, we had out Publix grocery bags with a list of items requested for food pantries of agencies we support. Helps Outreach, St. Matthew's House, Shelter for Abused Women and Children, Salvation Army, Grace Place and Youth Haven are the agencies that we have partnered with. 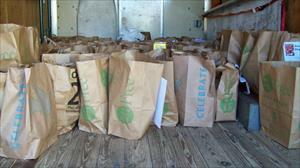 Food may be dropped off at church on the second Sunday of the month or the church office Monday through Friday. Checks are welcome, should be payable to First Presbyterian Church with the memo marked "Feed the 5000" and placed in the collection plate during the service or mailed to the church office.